Address: Carretera Alaró-Orient, KM 3. The hotel offers 27 rooms, two of them are suites and one is a junior suite. 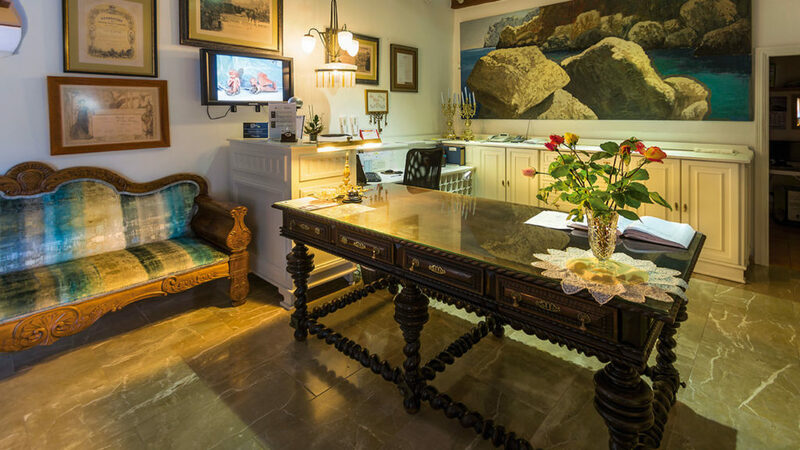 All areas are decorated with antique furniture and carefully selected elements of quality. Our services include, among others, a complete bathroom for each room, heating, air condition, telefone, minibar, internet, SAT-Tv and safe. 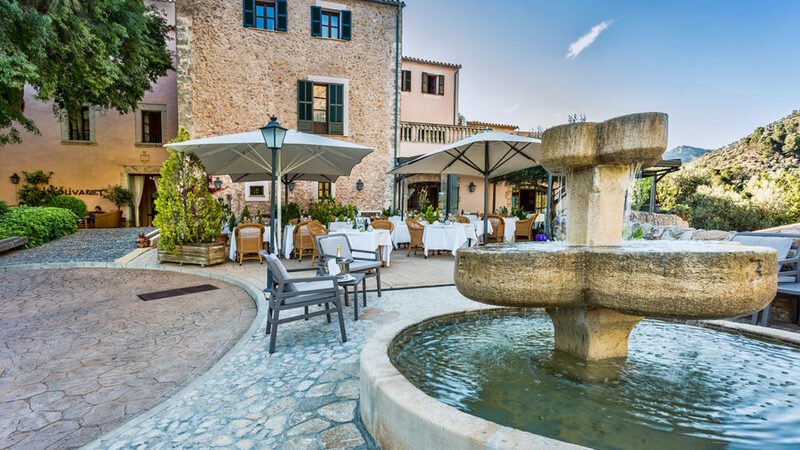 For your relax, the hotel offers outdoor and indoor pools as well as a whirlpool, a cosy living room with chimney and several terraces, a bar and our restaurant Tramuntana 1762, where our guests enjoy fine traditional dishes based on natural products of the season. Furthermore, the restaurant has en excellent wine cellar. 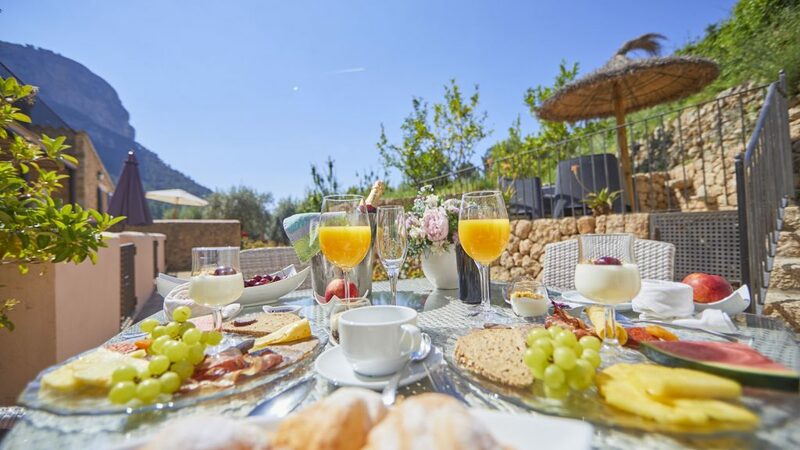 Due to the geolocation of the hotel, between 2 mountains in the Sierra de Tramuntana, the coverage of your mobile operator might be insufficient within the hotel area. 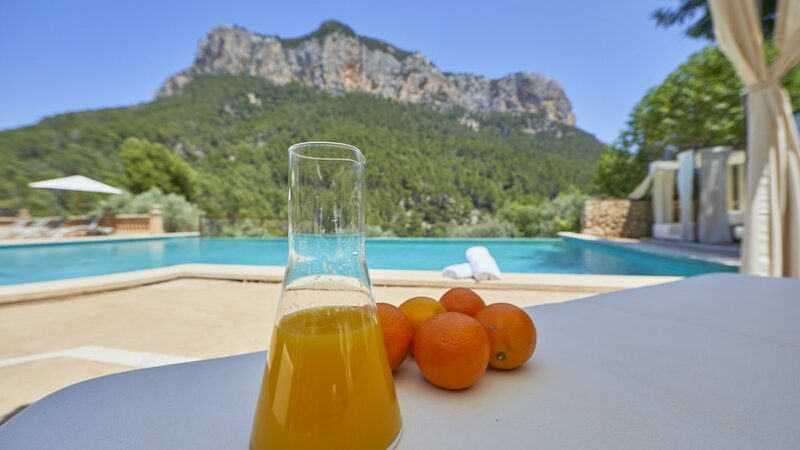 In our wonderful swimming pool one forgets all daily stress, enjoying the wonderful views of the Majorcan landscape and the natural surroundings. Modern cooking is offerred, based on traditional recipes; Mediterranean cuisine with natural products; Dishes prepared with delicious flavour, well balanced, with urprise and originality. 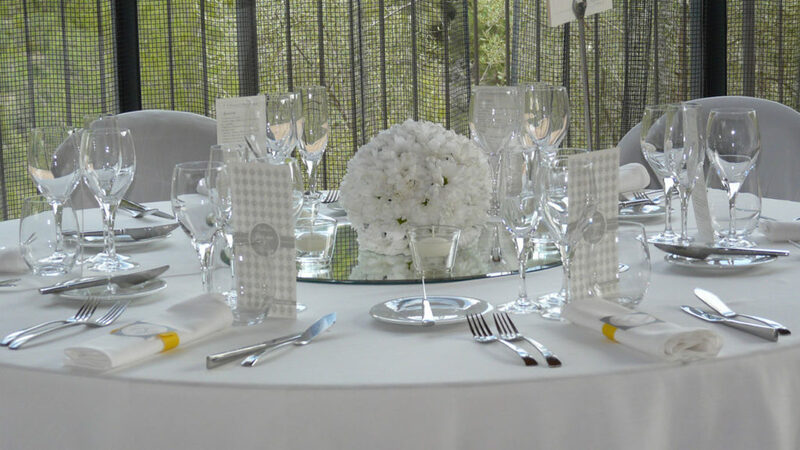 All this is complemented with an exquisite service and an excellent wine cellar. Our Reception Staff will be very happy to assist you anytime. 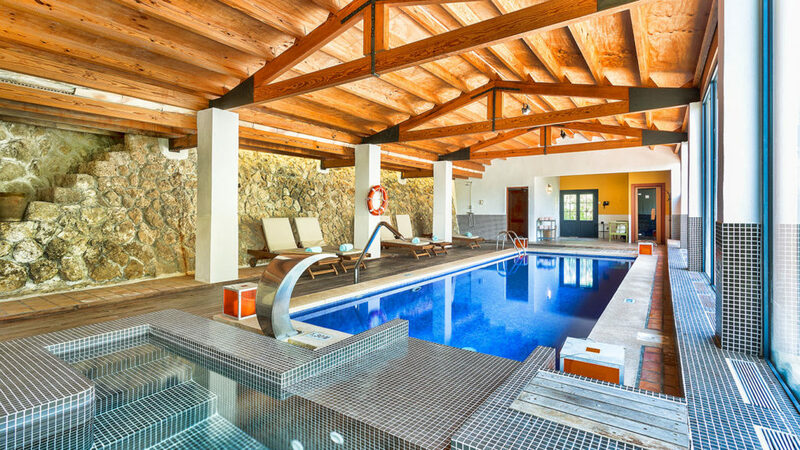 All our guests have free access to our Indoor pool, sauna and jacuzzi. Please ask about opening hours at our reception desk. A luxurious place with capacity up to 200 guests, This wide space can be compartmentalized into small, cozy and intimate spaces. 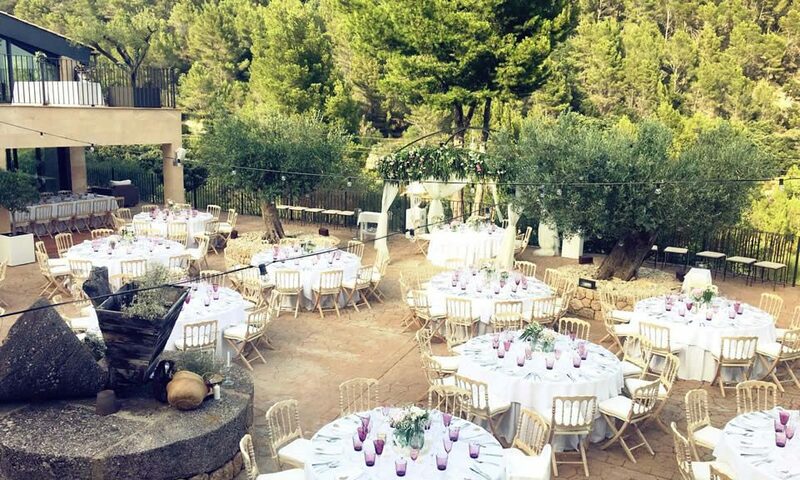 There is no better place to commemorate your events like the surroundings of the Hotel Rural S´Olivaret: a natural, comfortable atmosphere of quality to enjoy your celebrations. 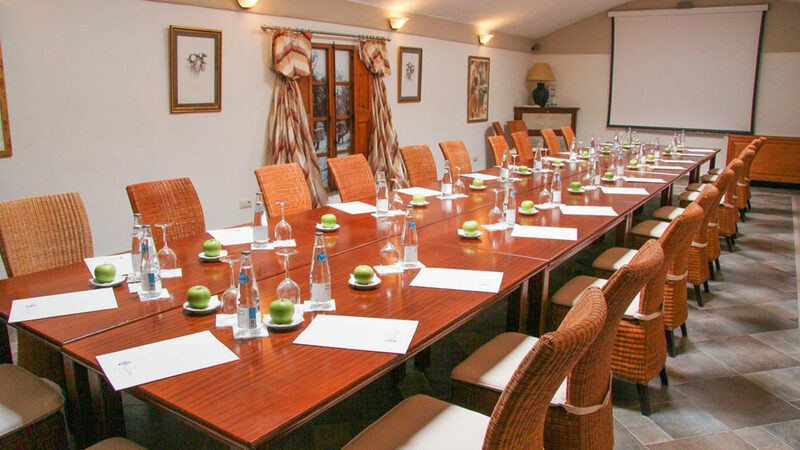 S’Olivaret offers you conference rooms equipped with projectors and Internet connexion to satisfy any possible needs. They allow a maximum capacity of 100 attendees. Enjoy a super breakfast under the sun at our outdoor terraces.. 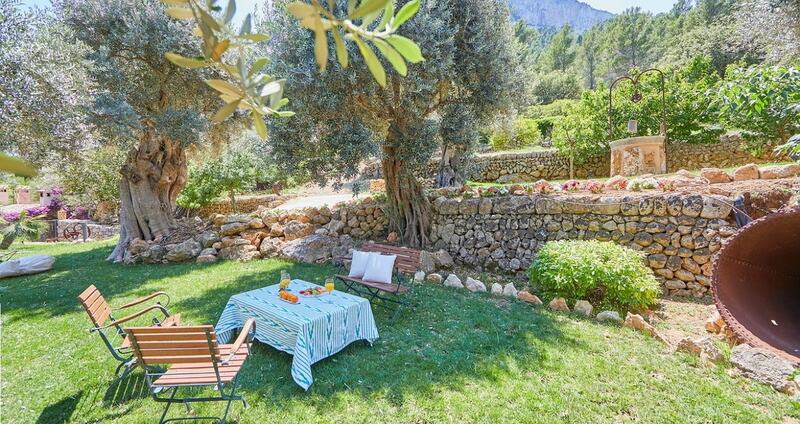 Surrounded by olive groves and green hills, facing the Serra de Tramuntana mountains, the Hotel S’Olivaret offers well-tended gardens, with sunbeds. All designed to enjoy relaxation. a caring selection of services. Discover Mallorca! Given its strategic location in the Mediterranean, Mallorca has been since ancient times a place full of different cultures and customs. The Serra de Tramuntana has been declared a World Heritage Site by UNESCO since 2011. The cultural landscape of the Serra is formed by roads, terraces, walls and traditional dry stone constructions. It also houses an exceptional hydraulic heritage, as well as the possessions, towers, watchtowers and the Sanctuary of Lluc. Address: Carretera Alaró-Orient, KM 3. Mallorca (Illes Balears) España.